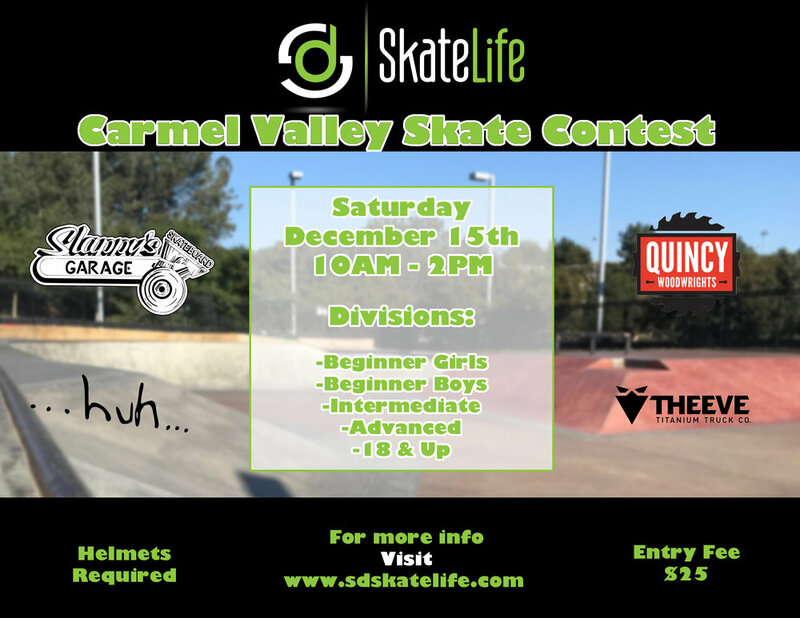 Join SD Skatelife on December 15th at Carmel Valley Skatepark from 10am - 2pm for our annual skate contest. For more info or to register today, visit our Skate Camps Page here! Register for our Spring Skate Contest at the Carmel Valley Skate Park. Join us on February 24th as we visit five skate parks including Linda Vista, City Heights, Memorial, Chicano, and Kimball. Pick up will be at 9am from Carmel Valley Skate Park with pick up at 5:30pm. For more information, contact Andrew at andrew@sdskatelife.com. Join SD Skatelife in Poway this February from the 19th-23rd for our Presidents Week Skate Camp! Monday through Friday from 9am-12pm. For more info or to register today, visit our Skate Camps Page. Heading to the skate park for the first time or bringing your young ones can be an intimidating experience. Between park difficulty, ramp size, and finding a family friendly environment it can be a difficult to find the best park for your family. As skateboarders and coaches, we have have experienced and visited a majority of the skate parks in San Diego. To help aide you in finding a skate park that best suites your family, check out this list of some of our favorite, family friendly skate parks in the San Diego area. On January 28th SD Skatelife will be hosting our January King of the Road skate trip to Los Angeles. Join us as we head to Orange Country and LA to skate Nyjah Houstons private skate park, Sheldon Skate Plaza, Stoner Skate Plaza, the courthouse skate spot, and the Berrics Westchester. Spots in the van are still available and cost $110 per seat. If interested please contact andrew@sdskatelife.com for more info. Thanks and see you on the road.